Hasankeyf Matters: How long can these traditions last? 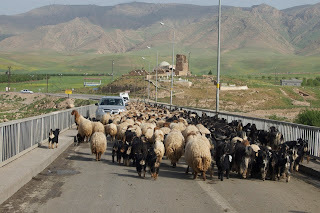 A special part of spring in Hasankeyf is watching hundreds of sheep and goats bring traffic to a halt as they pass through narrow streets and cross the bridge. It's a tradition that goes back as long as nomads have inhabited the upper reaches of the Tigris and Euphrates Rivers. This is the seasonal migration from summer to winter grazing pastures. 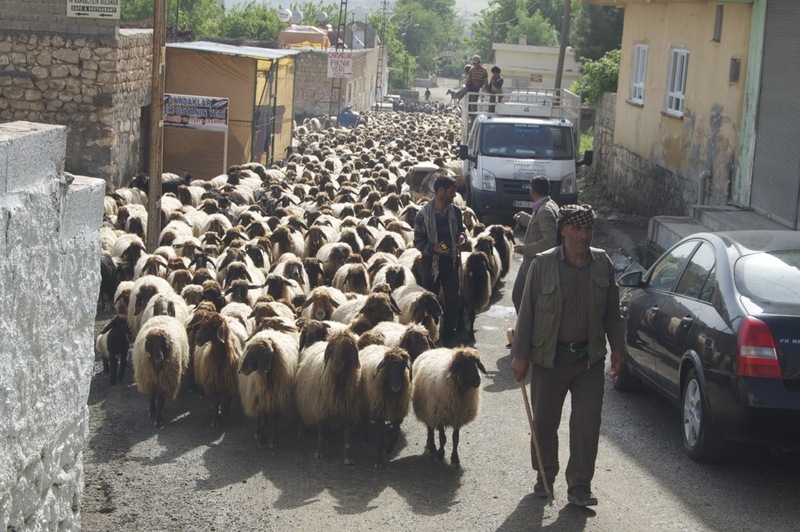 Shepherds lead their flocks toward the highland pastures around Lake Van in May and back toward Nusaybin in early fall. 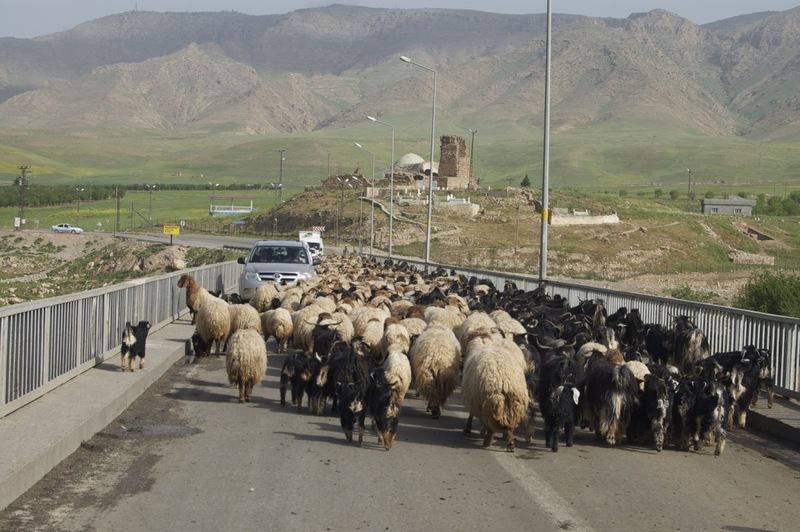 Three or four times a day, traffic comes to a halt as shepherds lead their flocks across the bridge. This annual migration is just one of several ancient patterns of life that will end with the completion of the Ilısu Dam and its 400-square-kilometer lake. 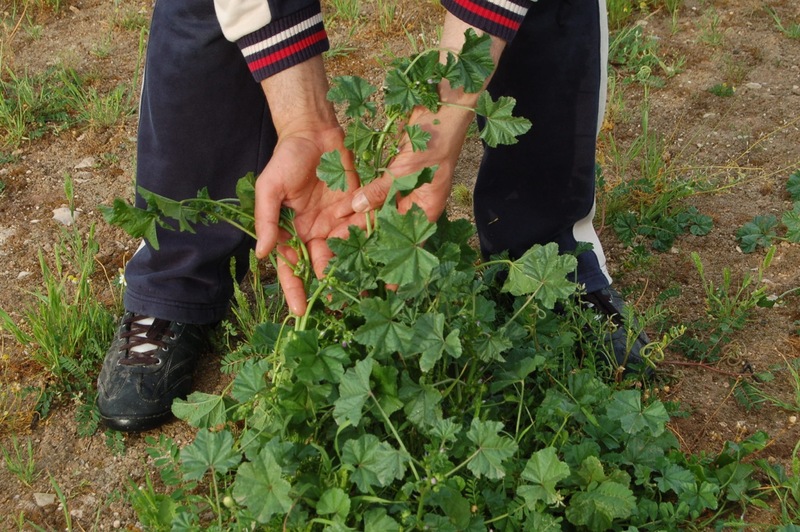 Another tradition threatened by the Ilısu project is the harvesting of wild herbs. 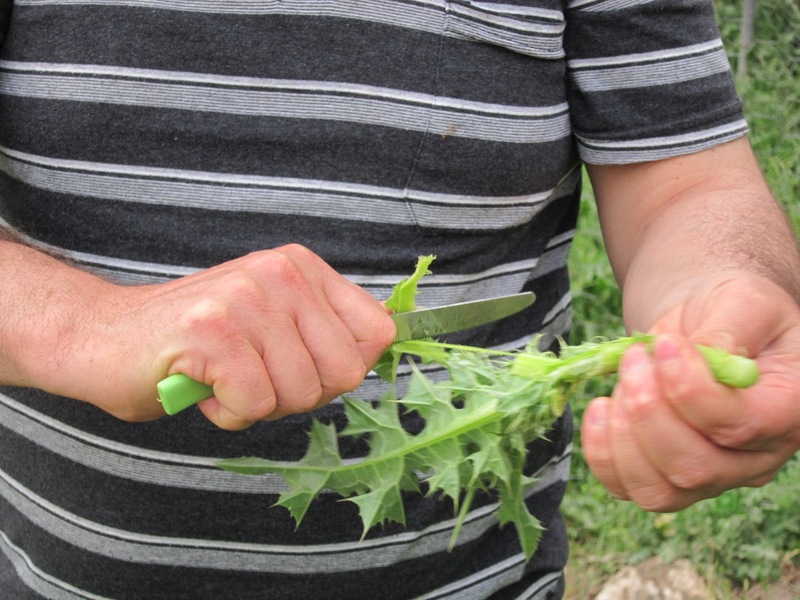 Local residents like to point out that you don’t have to be rich to eat well in Hasankeyf, you just have to know which plants are edible and how to prepare them. 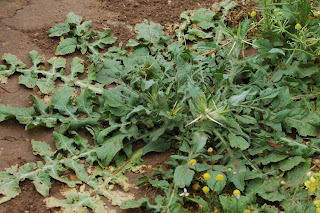 Herbs like hardal (mustard), doluk (Malva vulgaris or Malva) and istirzek* are prepared like spinach and served either as a side dish or mixed with eggs. 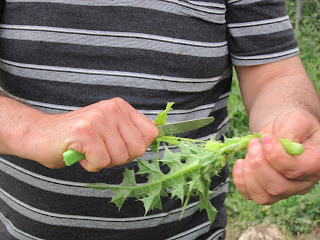 Others, like kerbesh (in Arabic; Kurdish, kivar; Turkish, deve dikeni; a thistle from the Asteraceae family), are eaten fresh after peeling the leaves and skin away. 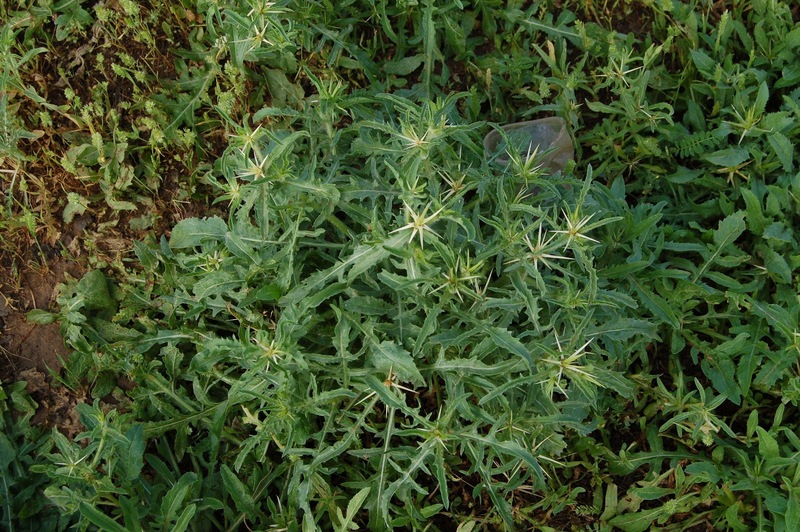 Doluk is thought to be good for blood circulation. The bitter herb gezgesk (Urtica diocia/urens or nettles; Turkish, ısırgan otu or “biting weed,” for the stinging effect of the hairy leaves on the skin) is used locally against cancer. 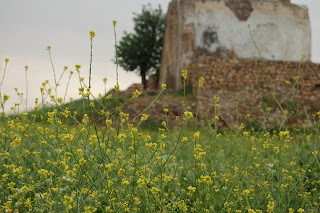 Ismail, a local merchant and civic leader, says the tastiest mustard greens are to be found on top of the pylons of the Artukid Bridge, where the goats cannot reach them. 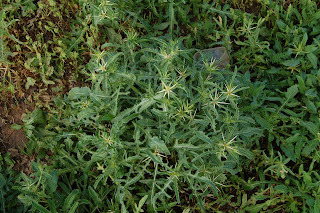 The greens are past their prime once the yellow blossoms open, but the eyes keep feasting. One of the disadvantages of New Hasankeyf is that it is being built on the rocky slopes of the left bank. 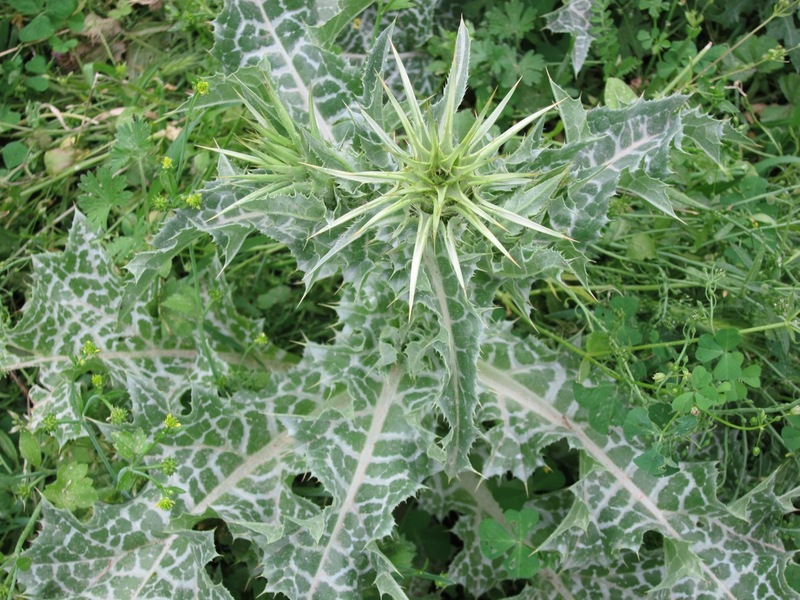 Although the design has been altered to provide more space for gardening, the quality of the soil is not suitable for the vast variety of wild herbs and medicinal plants that thrive in the low-lying areas set to be flooded. 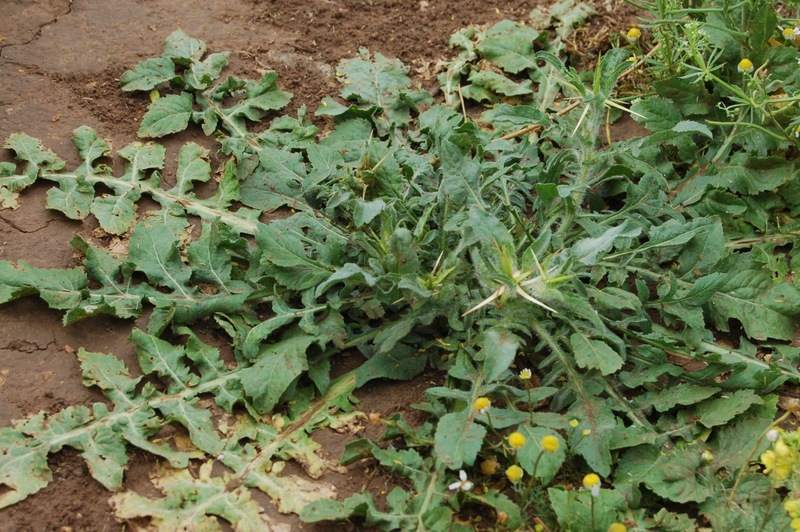 Not only will these plants be lost to the local population, but local botanical expertise and culinary traditions will also be lost unless people here find new ways to record their knowledge.